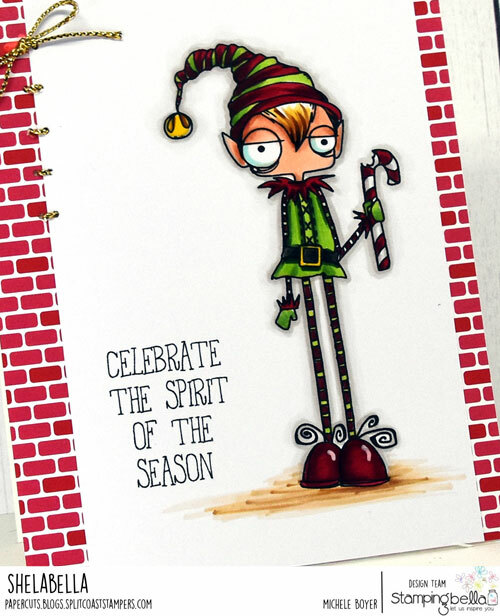 ← Stamping Bella September Release Previews – Fall Oddballs! Hi everyone! 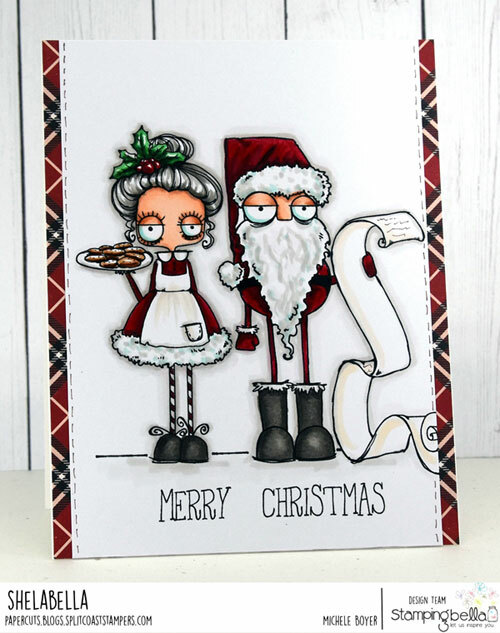 I’m back with one more set of Stamping Bella September 5 release previews! 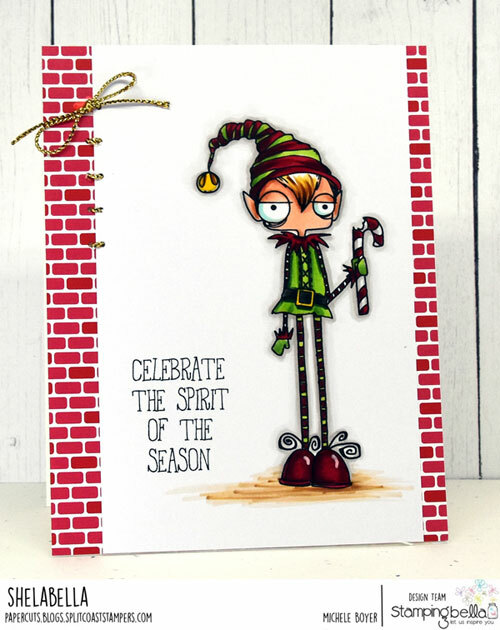 Today the team is sharing new holiday themed Oddballs! I have three. 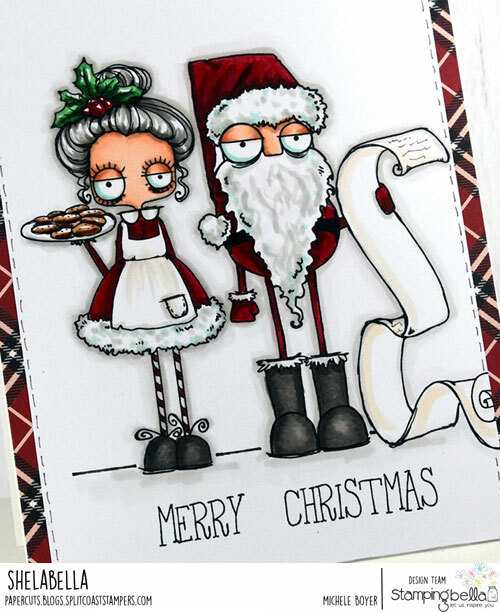 All were stamped onto X-Press It Blending Card and colored with Copic markers. First I have Oddball Santa and the Missus. They look tired…as they probably are. 😉 NOTE: I added the tiny scribbles onto Santa’s list. The stamp image of his paper is actually blank. The images are separate so they can easily be used together or individually. The sentiment I’ve used here is also included. 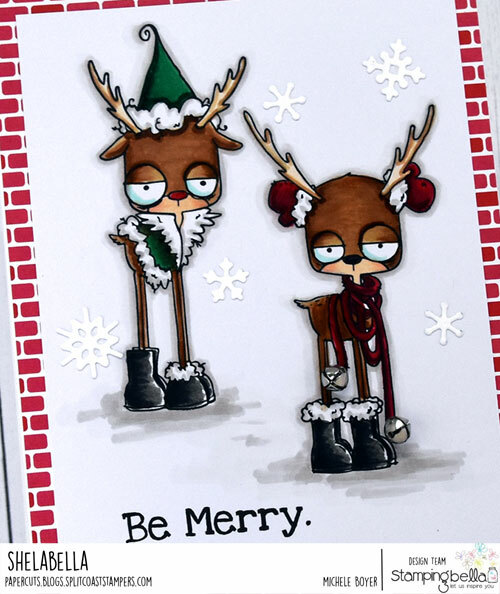 Next I’ve used Oddball Reindeer. 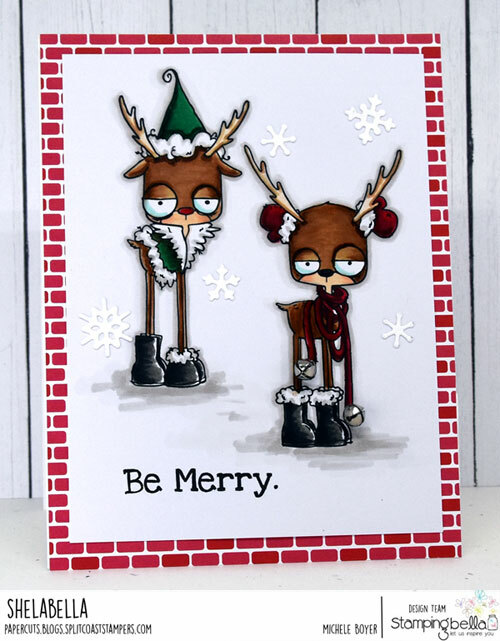 The set includes three reindeer and the sentiment I used here. Lastly, I’ve used Oddball Boy Elf. He comes with the sentiment I used here. Before adhering the completed panel to my card front, I added a few gold cord stitches on the left. I love these Oddballs. They are so quirky cute.